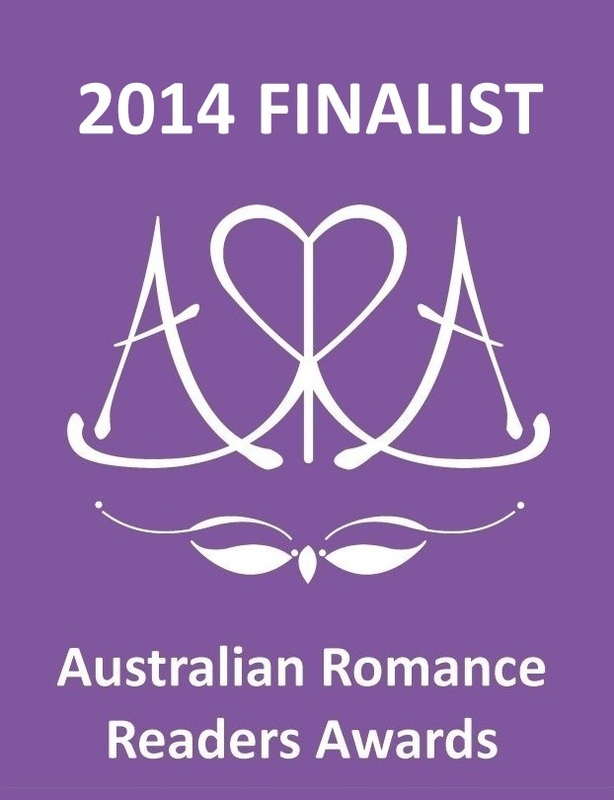 Huge congratulations to all the nominees! I’m awe-struck! If you want to find out what all the fuss is about go HERE to read the book! Sorry I’ve been away for so long. It’s been a tough year so far, but hopefully that’s all behind me now. 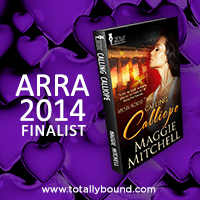 I have a new release soon and it’s already available for early download – so you don’t even have to wait! 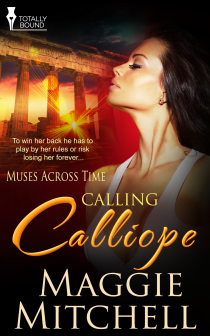 It’s called Calling Calliope and it’s BOOK 2 in my MUSES ACROSS TIME series about the Greek Muses in modern time and getting into all kinds of trouble. Oeagus was a descendant of Atlas, the son of Charon, a river god and the King of Thrace, but he still could not find his wife. Six months had passed since Calliope and her sisters had vanished from Mount Olympus and still no word. He believed it was all Hera’s doing, but he couldn’t prove that. Zeus was being very tight-lipped about the whole incident, but why he showed any loyalty to that wretched woman he would never know. He closed his eyes and remembered her beautiful smile and sparkling eyes. He should have insisted she stay with him on his throne instead of traipsing around with those flighty sisters of hers, but in his heart he knew she would never agree to that. She lived for the arts and she adored telling those amazing stories to the courts. She’d always loved to be in the centre of the action so he understood her need to travel with her sisters. It had been part of the reason they had been separated when she’d disappeared. That and a certain, stupid argument. He wished she were here now so he could clear all that nonsense up, but she wasn’t, and he was beginning to despair of ever finding her. 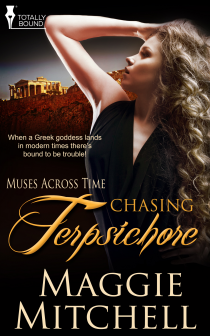 Terpsichore had been found in a strange land and had returned a changed woman. He wasn’t sure how that had happened, but he didn’t want to find Calliope too different from the woman he’d fallen in love with. Sure, she was a goddess, and as a goddess she exhibited certain expected behaviours, but when they were alone she was just a woman, and he a man, and he wanted that back again. He sighed. Wishing for it wasn’t doing him any good. He was a man of action so he needed to do something himself. All the gold and all the spies in the land weren’t working and it was time for him to step up. As he walked to the window, he stared out at his kingdom below. From where he stood, the view of the majestic mountains to the north reminded him of his father, Atlas. What would he make of this mess? To the south the Aegean Sea sparkled, the clear blue waters rippling as the large boats travelled into the harbour. In the courtyard below smoke billowed from where his slaves worked, forging weapons from stone over the many fires that burned there. The smells of the molten iron mixed with the aroma of baking bread from the kitchens. He paced the room while he waited for the tall servant to enter.